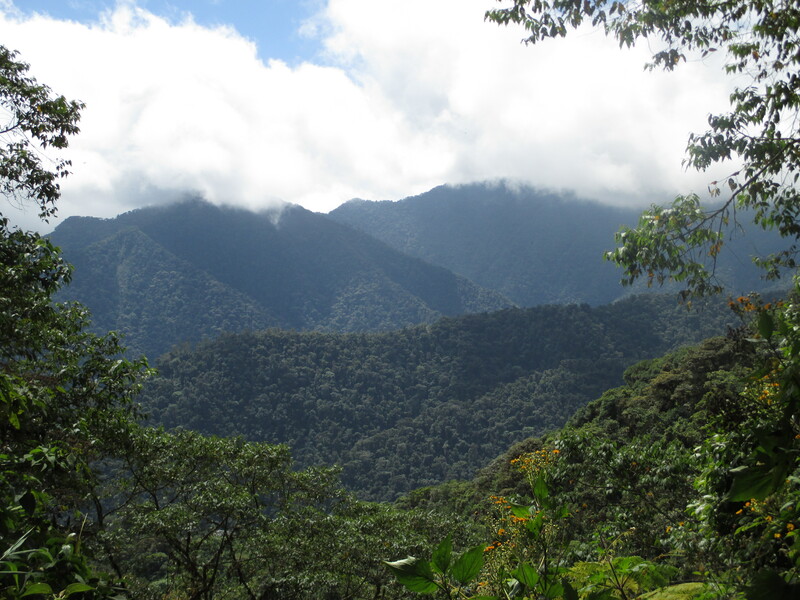 and my stay in Ecuador, in a cloud forest, ticked all the boxes. and plenty of peace and quiet. Australasia, and North America. Meeting them, I experienced a slight cultural shock. So casual! Some didn’t even shake my hand or say their names when we met. So cool! No rituals of greeting or farewell. In such a hurry! Here two days, then off to the Galapagos and Machu Picchu. people who had ‘done’ Africa last year. and tried to keep my head from exploding. and I’ll tell you more about it this week. it’s thanks to a service called Twuffer which allows you to write tweets ahead of time and schedule their publication whenever you want. to run another camp with children’s club leaders. on the series on the prevention of child sexual abuse. a meeting should be held to present the project to the church and to the children’s parents. We were encouraged to hear that in one place, 50 parents attended the meeting. before we set off up the hill to the airport. and we arrived somewhere cold and dark. but it was actually a bird. I could see we were in a forest. as if she had been for a walk. It was called Ecuador, the place, I think. One of the buses I get on belongs to the Miracle Fleet. As in, it’s a miracle that you get off the bus alive. A seat on the bus. A seat near the door on the bus. A seat near the door on the bus that is not too full (so I don’t have to elbow past too many people to get off). A seat near the door on the bus that is not too full and which is waiting for me when I get off the metro. A seat near the door on the bus that is not too full and which is waiting for me when I get off the metro and which leaves immediately. When I go to work I carry my rucksack on my back and my lunch in a plastic bag. One day I got on the bus, and realized I would have to stand for the short journey down the hill. In the process of finding a place to stand, I first biffed a young man in the face with the rucksack; he smiled pleasantly and said, “tranquila,” (don’t worry). Then a lady sitting behind him reached over and took my plastic bag, so that I had both hands free to hold on (for grim life). A thousand small courtesies like these make Colombia a very special place. In the end it wasn’t the ash cloud, but a technicial problem which held me up in Glasgow. I missed my connection to Panama City, and so Amsterdam joins Lisbon, Johannesburg, London and Miami: the list of places I have had to stay in because of missed connections. Cushioned by the practices of the airline industry, I have a hotel room, vouchers for food and phone calls, and a day to spend in a wonderful city. Maybe it’s a gift, rather than an inconvenience.